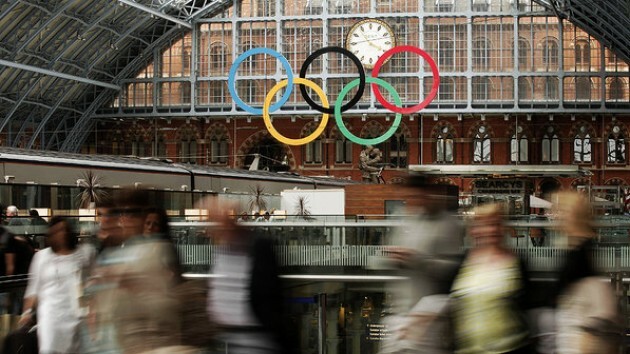 The 30th Olympiad will promote cycling and walking during the 2012 London Olympics. Photo by Charlie Riedel for the AP. A version of this post was originally published in Portuguese by Mariana Gil on TheCityFix Brasil. The 2012 London Olympics are coming soon and millions of people around the world are arriving in Great Britain’s capital to watch the games or just to take part in the general splendor that comes with the olympic spirit. Though London’s mobility options are numerous, strain on the larger transport network is bound to be extensive during the games, as regular Londoners and all the visitors, reporters, volunteers and athletes compete for the same space on traditional transit. Traffic experts forecast that 28 subway metro and light rail stations across three lines will experience crush loads during commute hours. Concerned about overcrowding on the world’s famous “Tube” metro, which is forecast to handle a million more passengers daily during the Olympic period (July 27 through September 9), the city’s transit department, Transport for London, created a campaign to encourage people to move on foot. 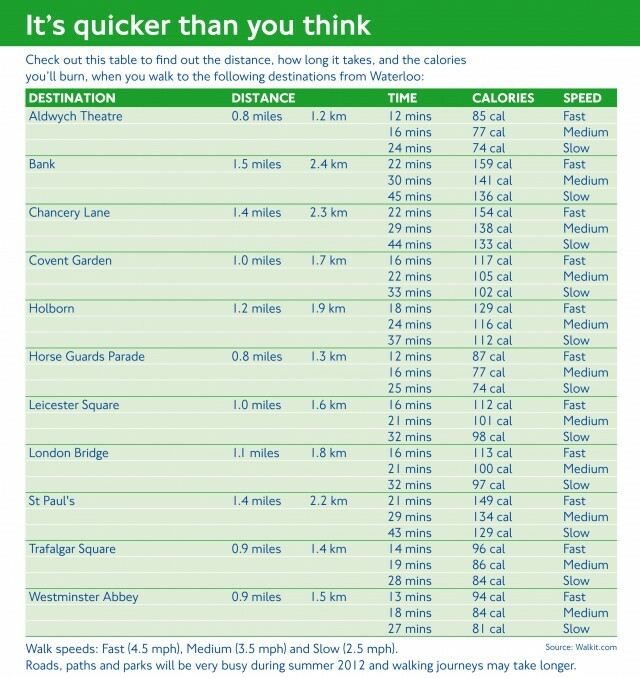 This guide features walking distances from Waterloo Station, The UK’s busiest train station, encouraging alternatives to using transit during what is expected to be a crush of transit use. TheCityFix has featured other pedestrian and bike campaigns launched by TfL, including everything from smartphone applications to a comprehensive marketing scheme, known as Legible London, that features bold signage and maps around the city that allows even the savviest Londoner and greenest traveller to traverse London like a native. London, as noted in a previous blog post on TheCityFix.com, sports an extensive network of bike lanes, cycle highways and a matching bikeshare scheme, totaling 8,300 bikes across 570 docking stations across London that travelers can use without having to tote their own bikes from the 205 countries represented in the 30th Olympiad.